Posted April 11th, 2019 | Category: Applian Software, Replay Media Catcher, Replay Video Capture. Today is the day the 83rd Masters Tournament tees off in Augusta, Georgia and we’ve got just the thing to help you capture all the action. Get your version of Replay Media Catcher ready and head on over to the Tournament’s live stream at CBS Sports online. You can use the DVR Browser in Replay Media Catcher or use the Stream Downloader to record each dramatic hook, slice and birdie from the storied home of Championship golf. The full list of tee times can be found here, and the competition will be fierce. Does Tiger Woods have a shot at making it to one of the top spots this year? Can Patrick Reed keep the green jacket he won last year? Will this be the year that Rory McIlroy finally swings his way into history, joining Tiger on the short list of golfers to complete a career Grand Slam – winning The Masters, The US Open, The Open Championship and the PGA Championship? All this and more will be decided this weekend atop Augusta’s speedy bent grass, between treacherous quartz pits and, especially, around Amen Corner. Luckily, you won’t have to miss work to stay on top of every stroke. Posted April 1st, 2019 | Category: Replay Media Catcher, Stream & Save. It may not feel like it everywhere quite yet, but believe us: spring is here! That means, get your kites ready, start putting your winter boots away, (get out your allergy meds!) and get ready to enjoy the upcoming festivities and sports events! (Hello, March Madness!) And while there are no shortage of fun ways to enjoy one of the freshest seasons of the year, there really is no better way to kick it off than to enjoy some delicious spring recipes, featuring some of the best flavors on offer this season. Thankfully, FoodNetwork.com has some pretty great spring recipes, featuring some of our favorite chefs, and not to mention some of freshest ingredients to savor this season. While you are enjoying those fun springtime activities, you don’t have to miss a single thing, because with Replay Media Catcher, you can download and save some of your favorites, and still enjoy all of the best flavors this season has to offer. Looking for a fresh and filling way to enjoy some of the veggies of the season? This pasta salad from Chef Jeff is a great way to have a healthy and satisfying helping of spring’s most delicious herbs and produce. We can’t think of a fresher appetizer than spring rolls… Filled with flavor and delicious veggies that can be enjoyed at any temperature, Chef Donal Skehan shares his recipe for this tasty classic. Don’t miss any spring appetizer ideas! You can download recipes online using Replay Media Catcher. There is no better time than spring to try giving a vegetarian entree a shot! We couldn’t think of a better one than this hearty spring green risotto; a great recipe to try a fresh take on a classic, easy, go-to dish! Who said springtime is too early to fire up the barbecue? Bobby Flay serves up this savory entree that makes use of the flavors of the season bringing us a delicious marinade for the perfect Argentinian-style steak skewers. If you are in the mood for a light but satisfying main dish, look no further than these Vietnamese Chicken Tacos by Chef Reza. With so much flavor, it’s sure to be a hit at your next dinner with family or friends. There really is no shortage of ways to make this classic Peruvian dish. We love this recipe because it offers a delicious take on a classic, as well as an accompanying drink to bring out the flavors perfectly. Never miss a main course – use Replay Media Catcher to download all your favorite spring meal ideas. This flan recipe is a marriage of some of our favorite flavors and textures! It’s a great, light way to add a sweet touch to any spring dish. With the wealth of spring holidays coming up, there is always a great day for a sweet, tasty, light treat to make it special. This creamy, fruity cake adds a great touch to any meal, or all on its own. Find your favorite spring sweet treats and record them using Replay Media Catcher! This season, make the most of the freshest flavors of spring! And to help you make sure that you don’t miss a single minute of the best content online, there’s Replay Media Catcher. Not sure how to use it? Check out the Replay Media Catcher How-To Guide and get started! Posted March 5th, 2019 | Category: Applian Software, How To, Replay Media Catcher, Stream & Save. It’s pretty amazing that we live in a time where there’s so much direct expert knowledge available online in digestible video format. There are a ton of great online course platforms that make learning just about anything super easy! Lynda.com (now known as LinkedIn Learning) is one of these super popular resources that can help anyone learn just about anything online. Whether you are looking for classes on business, software, or anything creative or tech-related, there is a class in Lynda.com‘s extensive online library for any professional. If you are looking to move ahead in your career, or just learn a few new practical skills, Replay Media Catcher can help you download and save video from Lynda.com to get you started! Why is Online Learning so Valuable? Learning online gives you the freedom to learn an unlimited number of subjects in your own time, and often for much less! Added to that, online learning gives you the freedom to learn about exactly what you need. That means, taking a general survey course if you are thinking about dipping your toe into a new industry, or deeper learning, if you are thinking about becoming a pro in any career, or developing a specialization. The best news is that, since Lynda.com has so many learning paths to choose from, all taught by so many career experts, you can become an expert in no time! But what are the potential downfalls of online-only access? These courses aren’t available forever. Which is why having a tool to download and save video from Lynda.com is the perfect solution! With Replay Media Catcher, you can record your favorite online classes, and re-watch them later anytime you need a refresher! So how should you record video from Lynda.com? Beyond making it incredibly easy to record your classes and re-watch later if you need more time to learn or practice, it comes with other benefits as well. Through Lynda.com it’s possible to download videos, but only through their mobile app. Great for learning on the go, but if you need more time to watch or if you want to watch when you are not connected to WiFi, you might need another resource. With Applian tools, you can actually download any of their classes, without using any additional apps, and without needing to be connected to WiFi to watch later. Open Replay Media Catcher for Windows or Mac. Open your browser and log in to your account at Lynda.com. Now just find the video that you want to save and begin to play it. Replay Media Catcher will download it in just seconds! With Replay Media Catcher, you can take advantage of learning next to anything online, and you’ll have everything you need to record and save video from Lynda.com! Take a look at the User Guide for Windows or Mac for more information, or feel free to reach out to our support team for tips and tricks. Posted February 11th, 2019 | Category: Replay Media Catcher, Stream & Save, YouTube. 2019 is in full swing, and new YouTube content is being created every second. With so much going on in every corner of the world, and so many new users daily, there are so many opportunities to discover something great nearly every hour. But how do you know which of each of those is actually worth your time? Don’t worry, we’ve got you covered. Before we start looking ahead, though, let’s take a look back at 2018 to learn which videos were the most popular videos on YouTube. From incredible musical performances to the most amazing rural DIY scenarios, we put together a countdown list of the top 10 most popular YouTube videos for you to watch, re-watch, and get excited for the year of videos ahead! As always, you can use our tools to record and save them all to your own personal video collection for years to come. What could be more entertaining than watching your favorite musical artists sing your favorite songs? How about watching them showcase their vocal range as they sing some contemporary classics? In this video, Ariana Grande shows her fans what she’s got in one of the most popular videos of 2018. Everyone remembers their favorite classic films. What could be a better remedy for the Nostalgia-fever that has run rampant in 2018? Watching our favorite characters from the original Karate Kid in a classic “where-are-they-now?” web series created exclusively for YouTube. Anyone who has been on the internet knows how wildly popular DIY videos are. What’s more remarkable, is watching a DIY video that takes the most basic elements and creates something extraordinary. This video of a man-made pool took the YouTube world by storm in 2018. The world is made up of three kinds of people: the people who swooned over the Royal Wedding of Prince Harry and Meghan Markle, the people who couldn’t care less, and finally, the people who re-watched the highlights done over in a hilarious lip sync. This wildly popular video provides something for everyone as the best bits of the most highly anticipated event of the spring gets a hilarious voiceover that resounded the world over. Stop. What were you doing at any given moment last summer? If you were like a large number of YouTube viewers, you were watching the incredible upset game between Portugal and Spain in this exhilarating match up during the 2018 World Cup in Russia. Whoa. The Dress Conundrum, version 2018. In this video, ASAP Science explains the phenomenon between the most hotly debated perception dilemma on the internet last year, as listeners were divided about whether they were hearing “Yanny” or “Laurel”. Is it the boots? Is it the massive talent coming from such a tiny package? Last year YouTube viewers were obsessed with Mason Ramsey, the boy who went viral in 2018 for yodeling in the middle of Walmart. As a true testament to how much our lives are touched by YouTube influencers, one of the most highly viewed videos of 2018 featured Youtubers Liza Koshy and David Dobrik sharing a joint video of their breakup. The usually funny couple shared the touching video with their fans to show the human side of vlogging, and to ensure that fans knew they could still be friends. In the second most popular YouTube video of the year, Dude Perfect performs a series of nearly impossible trick shots that got fans everywhere practicing their own skills, even offline. In the year’s most highly watched YouTube video, Kylie Kardashian put out a montage of footage chronicling her highly speculated pregnancy, up until she gives birth. It’s a must watch if you are a Kardashian-fan, or are at least remotely curious about anything related to Kylie Jenner’s best-kept secret pregnancy of daughter, Stormi. From how-to’s to viral songs, to 80’s nostalgia, to personal, authentic looks at their favorite influencers, it is clear people are tuning in in large numbers. Make sure that you can catch and replay all of your favorite moments from 2018, and save all of your top-rated videos for the coming year with Replay Media Catcher! 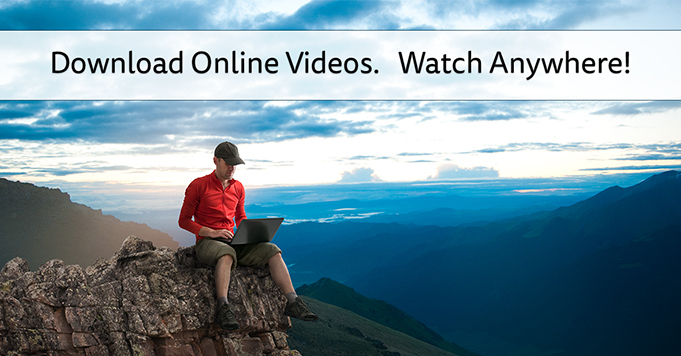 With our powerful tool, you can download full YouTube videos in high quality and so much more! If you aren’t sure how to get started, don’t worry! We have a handy guide (here) that guides you through each step, so you never miss a thing! Posted February 6th, 2019 | Category: Replay Media Catcher, Replay Video Capture, User Stories. When you’re expecting a live audience who are searching for great quality and an experience from your service to be in top shape, the eyes and pressure are on, and your business’ reputation at stake. This scenario used to plague one of our customers who runs two free, independent community movie theaters – one in an old Church and the other as a drive-in – for the past 17 years. When viewing large video files in places outside your usual home or office building environment, for example, a connection can be unstable. The owner found difficulties when trying to obtain the trailers for her upcoming films being shown at the theaters. So, what is a small independent theater owner to do? Use powerful tools available in order to record media online and get exactly what’s needed. For use outside of a WiFi connection or where there is a rick of slow connection, Replay Media Catcher is ideal; any video saved is guaranteed to be high-quality for any purpose, viewer or situation. When our customers use the software, they’re happy that they will completely eliminate any prior media player necessary, making any portable video process lighter and more efficient. Offering a variety of media options to download, the software in the Replay Capture Suite allows you to either copy and paste media into the software or directly record from the link you’re watching. It’s incredibly easy to use, supporting over 130 devices and file formats and it’s still super powerful. Why not try it out for yourself – just download a short video to take on your next trip to see just how simple it is. Take a look at the rest of our awesome user stories on our blog. Any questions? Reach out anytime. Posted November 28th, 2018 | Category: Applian Software, Replay Media Catcher, Video. Explore huge media guides of content – everything from radio shows to popular movies to YouTube videos – available online to record and save. Schedule downloads to start automatically when your live streaming YouTube content goes live online, and convert to any file format needed. 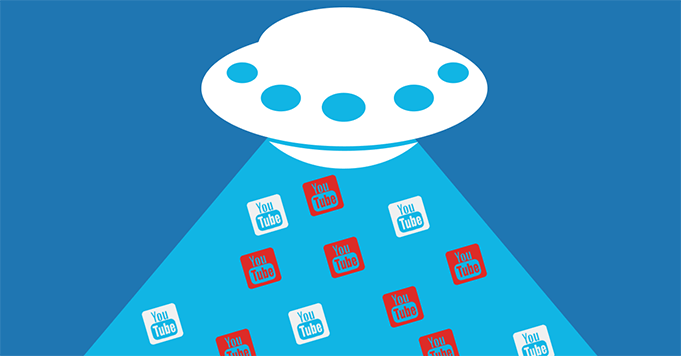 Download YouTube videos from ANY channel at speeds up to 10x faster than playback. With simple drag & drop functionality, Replay Media Catcher is the easiest way to “catch” all of the YouTube videos you can get your hands on, with just one quick movement. And, lightning-fast conversions make it possible to automatically convert these videos to MP3, WMV, AVI and more popular file formats. Try Replay Media Catcher for Free! Do you still have questions about how Replay Media Catcher works? Please reach out to us at any time! This article was originally published January 27, 2017. Posted September 17th, 2018 | Category: Replay Media Catcher, User Stories. For on-staff and volunteer firefighters, EMTs, paramedics, and other emergency services, knowing exactly what to do in the most efficient manner possible is always the most important consideration. When training newcomers on the best practices for first response, visual techniques can be the best way to really show, explain, and drive real lessons home – a loyal Applian customer knows this all too well, and uses the software to piece together the most comprehensive training videos possible. Gary has been designing firefighting and paramedic training videos for over a decade now, and has always been in search of new and interesting video and audio inserts for these videos. “I came across Applian back then, when getting videos off of YouTube was next to impossible to do – but, when I tried the trial version program, it worked! Using the Replay Media Catcher software from our Replay Capture Suite (among other tools), Gary and everyone he distributes these training videos to can benefit from the variety of information that’s pieced together. And, for every paramedic and firefighter that watches these training videos, another life could be changed or even saved! How Does the Replay Capture Suite Work? Software in the Replay Capture Suite provides you with all of the digital tools you need to capture, edit, convert, split, join, and save online media – including audio and video files. Saves any online video at any available quality. Records audio from ANY source as it plays. Converts recorded files to a format of your choice. Saves streaming video, radio shows, music, and more. Edits audio and video files easily. Encrypts personal video files on your computer. Check out more of our User Stories on the blog. Posted September 4th, 2018 | Category: Replay Media Catcher, Stream & Save. Online videos are everywhere, coming in all kinds of shapes and genres imaginable. From comedy clips and music videos to exclusive series and top-grossing movies, video sites and services like YouTube, Vimeo, BBC, Ustream, and others have got it all. Online video sites are only as reliable as your WiFi connection is, though, and each website’s users and top-rated channels can add or remove media without warning. Wouldn’t it be great to be able to download these videos to watch and enjoy anywhere, anytime, without interruptions? An online video grabber tool is the only way to access your favorite online videos wherever the Internet isn’t, so you can always have entertainment on-hand. 1. Install the online video grabber software. 2. Launch Replay Media Catcher and turn on Auto Mode. This will keep Replay Media Catcher on the lookout for any streaming videos or online content to download and grab up automatically. 3. Open the video you want to grab and download for your own media collection. Automatically converts recorded files to a format of your choice. Lets you schedule live streamed recordings. Has embedded video and media guides to help you find interesting video content. Ready to get started with the ultimate online video grabber? Posted August 29th, 2018 | Category: Podcast, Replay Media Catcher, Stream & Save. These days, you’ll hardly find the majority of news junkies sitting in front of the TV with their favorite broadcaster on. More often than not, people are consuming the news in more bite-sized ways, using live streams, top headlines, podcasts, and posted video clips on social media to get their fill of what’s happening in the world. With so much going on, and so many reputable and interesting takes on politics and world news, there’s a platform and a provider for everyone to access online. Being able to tap into so many resources online for the news is incredibly important, and has played a direct role in how many younger people and adults are consuming and digesting the news; in the United States, roughly 93% of adults get at least some of their news online. Now, with a rise in the popularity of radio shows and podcasts, live streams and special YouTube channels, news publishers have adapted to meet those needs. So, what do you do when you have multiple access points and want to record the news online? With Replay Media Catcher, you can watch and download live streaming video from all of the top news sites online, as well as record any radio shows and podcasts in the news and politics world that you can handle. Take a look at some of the most popular sites, shows, and podcasts about the news that you can record and save. Live streams and videos through news websites, social media pages, and more places online are key players in the digital news space. By late next year, online video will be responsible for 4/5th of global Internet traffic and for us here in the United States about 85% of our web traffic will be video. Here are a few of the most popular online news websites that have ongoing live streams available. CNN.com delivers up-to-the-minute news and information on the latest top stories, weather, entertainment, politics, and more. Head to the CNN live stream here. The New York Times provides breaking news, multimedia, reviews & opinion on Washington, business, sports, movies, travel, books, jobs, education, real estate, cars & more. Head to the NYT news videos here. Fox News provides breaking news and videos on the latest current news, U.S., World, Entertainment, Health, Business, Technology, Politics, and Sports. Head to the Fox live stream here. CBS News is dedicated to providing the best in journalism under standards it pioneered at the dawn of radio and television and continue in the digital age. Head to the CBS live stream here. With Replay Media Catcher, you can set up full schedules for all of your favorite segments or news programs airing online. With the tools to monitor and track live streams and exclusive video broadcasts, you’ll never miss an important moment. In 2018, 44% of Americans ages 12 and older have ever listened to a podcast, according to Edison Research and Triton Digital survey data, and 26% have listened to a podcast in the past month, up from just 9% in 2008. Here are a few of the most popular online news websites that have ongoing radio shows and podcasts available. “This is how the news should sound. Twenty minutes a day, five days a week, hosted by Michael Barbaro and powered by New York Times journalism.” Head here to listen to The Daily by The New York Times. “Up to date and breaking news from NPR. Five minutes of headline radio news from the NPR news team, available on demand in this hourly podcast report.” Head here to listen to NPR News Now by NPR. “The day’s top stories from BBC News, compiled twice daily in the week, once at weekends.” Head here to listen to the Global News Podcast by the BBC. “Start your day with award-winning co-hosts, along with CBS News correspondents around the world, as they bring you the most important headlines, intelligent conversations and world-class original reporting from around the world.” Head here to listen to CBS This Morning by CBS Radio. Set certain radio shows and podcasts to record automatically, as soon as they go live. Actively monitor for when live streams begin on your top news sites, so you never miss a minute of the latest stories. Integrate with iTunes, Dropbox, or Google Drive for automatically copying files to your smartphone or tablet. Check out more great stuff about Replay Media Catcher, and feel free to reach out to us with any questions! Posted July 2nd, 2018 | Category: Applian Software, Replay Media Catcher, Replay Music, Replay Video Capture, Spotify. 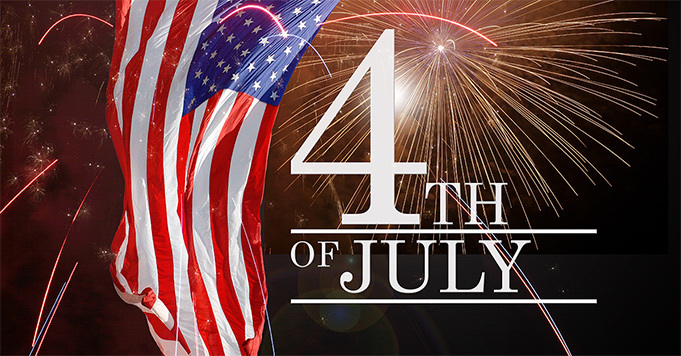 Nothing says Independence Day like a beautiful fireworks show, barbecues with great friends or family and, of course, the sense of freedom that comes along with being an American. We’re big believers in freedom, which is why we’ve made it possible to record any type of online content your heart desires using a bundle of easy-to-use, yet powerful, software. No matter your plans this 4th of July, products from our best-selling Replay Capture Suite are here to save the day, offering up great media-capturing ways to boost up your celebration. Good food and fun holidays bring people together – it’s a fact. You can kick your appetizers, entrees and desserts up a notch with the assistance from the experts of Food Network… and a little help from us. Replay Media Catcher lets you record any video (or live stream) from Food Network online. There’s practically unlimited inspiration for the perfect 4th of July BBQ, including delicious cocktails, themed sweets, and all the grilling tips and trick you can imagine. Bonus! With the new live stream monitor feature for PC, you can actively track and record any event online, so you don’t have to miss any broadcasts while enjoying your festivities. Get Replay Media Catcher for PC. Get Replay Media Catcher for Mac. Music can often be an under-appreciated aspect of a celebration – but when the right tunes are on, it can turn any get-together into a full-on party! With the help of Replay Music, you can build your perfect Independence Day playlist chock full of summer hits, or even capture pre-existing ones straight from the sources themselves. Either way, you’ll definitely be prepared for a great 4th of July party. Replay Music is a totally unique audio recorder that was built specifically for recording music from online streaming services and websites. With this program, you can record music from sites like Spotify, Pandora, Soundcloud and Apple Music, and save them all into high quality MP3 files. Get Replay Music for PC. What 4th of July is complete without a staggering display of fireworks to end the day of fun? After all of the grilling and celebration is done, there’s really nothing better. Properly equipped with Replay Video Capture, it’s simple to screen record and save any fireworks live stream you can get your hands on, whether it be your own local event or the incredible Macy’s 4th of July Fireworks Spectacular. Replay Video Capture is the only 100% legal way to grab super high-quality recordings of any online video, so you can get your fill of stunning pyrotechnics without having to brave the crowds or be glued to the TV. Get Replay Video Capture for PC. Get Replay Video Capture for Mac. Ready to commit to a season of awesome media fun? Get the full Replay Capture Suite for access to all of these great recording products & more.